Mojo is a fairly new brand to me. When representing Skecher Performance Division during NYC Marathon last year. Mojo had its booth across from Skechers. Of course the Swedish colored products caught my attention! "Founded and based in Brooklyn, New York - our philosophy is to create products which will advance Sport Performance & Recovery. MoJo design & materials are developed by Mo Blinder who has been developing, manufacturing and distributing in the medical compression industry for 15+ years. Mo is a weekend Cyclist and a daily Swimmer who wanted to create cutting edge Performance and Recovery garments with funky, sport driven designs, materials and patterns. Working closely with professional athletes and designers Mo has tailored the MoJo sock into something that you will want to wear." Fit: I chose to use Sleeves as Im really picky with my socks. Mojo sleeves has what I would call standard 20-30mmHg Support. I have used the sleeves in both competition and training. The sleeves offer a nice firm compression and I feel the compression are at the right spots for me. Some sleeves can be to tight over my calves, but this was not the case with Mojo. During long runs and competition I feel I can trust Mojo to stay up. Sometime you get the feeling that your sleeves are going to come down as soon as you start to run. This was not the case with Mojo. In fact the sleeves had a great feeling, giving you the secure feeling you need. I always judge my compression gear how they feel after a few turns in my washer. Mojo passed the test here as well, and continues to offer the same amount of compression. 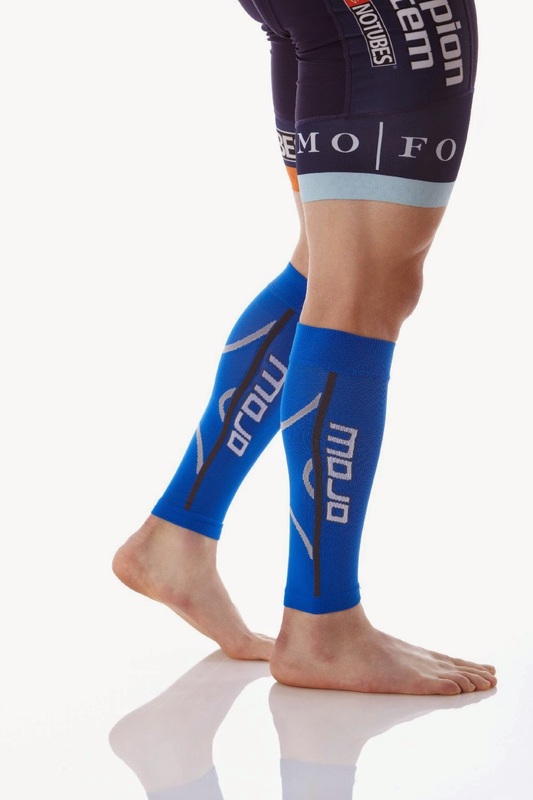 Conclusion: Mojo offer a wide variety of compression gear for your legs. Products are in the right price range, not over priced like compression gera often can be. My Sleeves has been tested during a tough NJ winter, racing and all kind of work outs. The product offers what Im looking for when it comes to compression, a nice firm compression. You dont have to worry about the sleeves sliding down and the product hold up over time. Mojo will be my choice of sleeve at Boston Marathon this year! Disclaimer: The compression sleeves was sent to "therunningswede" free of charge for review. Review and thoughts are writers opinion after been testing the product this spring.